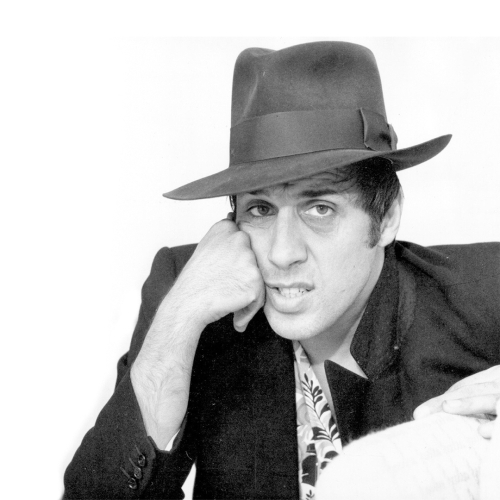 Adriano Celentano (born January 6, 1938) is an Italian singer, songwriter, comedian, actor, and TV host. He was born in Milan at 14 Gluck Street (about which he later wrote the song "Il ragazzo della via Gluck"), his parents were from Puglia and had moved north for work. Heavily influenced by his idol, Elvis Presley, and the 1950s rock revolution, he is also known as the most famous dancer of the Hula hoop fad. For the last 40 years he has retained his popularity in Italy, selling millions of records and appearing in numerous TV shows and movies (including a short appearance in Fellini's La Dolce Vita, before becoming a famous artist). In the latter respect, he has also been a creator of a comic genre, with his characteristic walking and his facial expressions. For the most part, his films were commercially successful, in fact in the 1970s and part of the 1980s, he was the king of the Italian box office in low budget movies. As an actor, critics point to Serafino (1968), directed by Pietro Germi, as his best effort. As a director he frequently casts Ornella Muti, Eleonora Giorgi and his wife Claudia Mori. His best movie like director is "Yuppi Du", winner of The Golden Palm at Cannes Festival. He and Claudia are the parents of Rosita, Rosalinda and Vincent Celentano, the latter most notable to worldwide audiences for playing the Satan character in Mel Gibson`s The Passion of the Christ. He also works often as a host for several Italian television shows. His 1968 song "Azzurro" has regained popularity in 2006, due to it being the anthem of the Italian national football team (the Azzurri) who won the 2006 FIFA World Cup. The artist Vincent Fiorello has also created a remix of the song. His last concert-event in 2012, after 18 years without live performances, was transmitted on Canale 5, with over 9 million viewers both evenings.